What is Cloud Hosting? How does it really work? Cloud hosting is a hosting solution which works on cloud computing technology wherein services like storage, compute, network, servers, and applications are provided to organizations via a network like internet. This form of hosting enables companies to consume compute resources as a utility, like electricity, thereby eliminating the need of building and maintaining computing infrastructure in-house. 1. Pay for the resources that you use- Cloud hosting is a low- cost hosting platform as customers are billed only for the resources which they procure. Moreover it saves their upgradation costs too by helping them make most of their current IT infrastructure. 2. 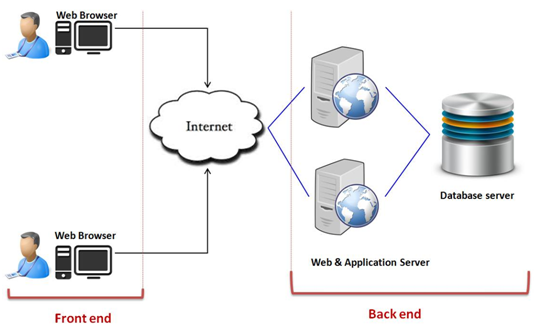 Instatenous allocation of resources- This hosting set up facilitates on-demand scalability. It allows websites and business to add or reduce resources (bandwidth, storage, RAM etc.) as per their business needs. 3. Increased team collaboration and productivity- It enables employees of an organization to work on the same document by sharing files, applications and other documents online, irrespective of the location they are working from. Thus, enabling flexible and smart working in the work place. 4. Independence of location- A business hosted on cloud platform is globally accessible as cloud servers are present across the world. They are accessible from anywhere via an internet connection and with any device-desktop, laptop or even mobile. 5. No single point of failure- Cloud hosting promises ‘five nine’ network uptime as it is a system of inter- connected servers. So whenever a single server or a component is unable to take the client’s request, then the other one out of the multiple servers takes over the workload of the failed server by default. 6. Backup and disaster recovery- Data is automatically backed up in cloud connected servers. ⟾ Front end – Refers to the client part of cloud computing. Comprises of interfaces and applications, required to access the cloud. It is similar to the Facebook profile which you use to interact with people. ⟾ Back end – Refers to cloud itself. Comprises of virtual machines, servers, data storage, security mechanism etc. Its control remains with hosting provider. It delivers the data which we see in the front end. Other sub-components are cloud based delivery and network-like internet. 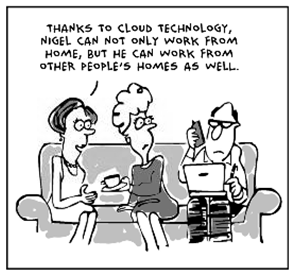 Cloud computing works on the virtualization technology. It partitions a single physical server into multiple servers and once the server is divided, each server acts like a physical server and is capable of running an operating system and applications independently. 1. Public cloud- Resources are provided by cloud provider to public via internet. 2. Private cloud- Resources and infrastructure are dedicated for the use of a single organization. 3. Hybrid Cloud- This model combines goodness of public cloud with private cloud, thus delivering best cloud environment. Cloud is a wide network and so is a vast topic too. I’ve shared only the basics, to keep it short and sweet. If you have any doubt on cloud hosting service or looking for cloud hosting providers you can check it here.